Sankhu is a traditional Newar settlement located in the North East of the Kathmandu Valley, Nepal, and was inscribed on the tentative World Heritage List in 2008. The April and May 2015 earthquakes had a devastating effect on the historic settlements of the Kathmandu Valley, and Sankhu was one of the most severely affected communities, with more than 65% of its buildings seriously damaged or destroyed. Over 2000 people were rendered homeless and forced to find shelter in tents or temporary sheds on the town's periphery. Outmigration has been a problem for many years, and has been further compounded following the earthquakes, with the departure of much of Sankhu’s core population. Two years on, much is needed to be done to restore this community to its former glory, and to rebuild the rich cultural heritage of the town. The rehabilitation and reconstruction planning needed for historic settlements is a sensitive issue. It has to address multiple development issues, show concern for the welfare of its inhabitants and create an environment in which everyone can prosper. Furthermore, the preservation of both tangible heritage and intangible practices and traditions will strengthen the core identity of such historic communities. Therefore, a multidisciplinary approach with the active participation of the community and local authorities is vital in order to draw up a Rehabilitation and Reconstruction Master Plan. Additional support from national and international experts is essential to help with defining goals for the project, and develop a clear implementation process. Policy dialogue. Through a multidisciplinary approach, the project will take into consideration social, economic, cultural, physical and heritage aspects, as well as socio-economic development, upgrading of urban infrastructure and fostering livelihood components. The overall intervention and approach shall be documented and described (plans, presentations, videos and interviews) for broader dissemination and possible replication when supporting other communities. Ownership and skills development. The heritage values of a traditional town do not just lie in its physical aspects, but also in its cultural and social dynamics. The needs and aspirations of the community should therefore form the basis for the rehabilitation concept, and the entire process needs to be community-driven in order to make it sustainable. The sustainable redevelopment of the town and reduction of risks for future disasters will be identified, and possible solutions will be discussed with the community. Such processes will be crucial in reinforcing the community's confidence to actively rebuilt and preserve their tangible and intangible heritage. Furthermore, community and owner-driven rehabilitation will be encouraged and supported with appropriate practical training programs, such as traditional building techniques and appropriate seismic strengthening. Physical rehabilitation. The rehabilitation process will be conducted jointly with the community and the experts and will conform to proper seismic strengthening construction techniques. The revitalization of public squares and community infrastructure, such as the ancient traditional water supply system, would strengthen the traditional community structure. Key community spaces represent the interfaces where intangible cultural activities give life to the tangible ones in traditional towns such as Sankhu, particularly during yearly festivals and regular rituals. The community of Sankhu as the main beneficiary will have to take the lead in managing the town's rehabilitation process. Close collaboration with all stakeholders, such as the municipal office, religious groups, cultural organisations, reconstruction committees, and youth clubs is crucial for a successful outcome. Achieving the development goals and at the same time adhering to the proposed heritage conservation guidelines related to the rehabilitation and reconstruction of Sankhu is a complex process, which will requires a multidisciplinary approach with the involvement of economists, sociologists, anthropologists, historians, urban planners, architects, engineers, and conservation architects, among others. 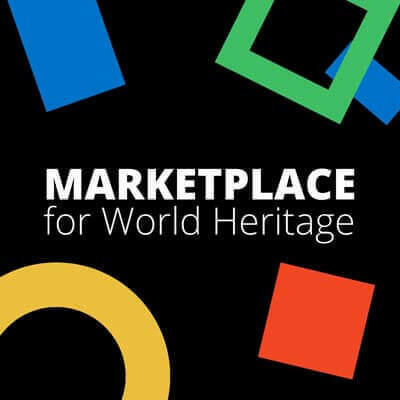 It is to be noted that the launch of WHF campaigns usually starts in October and that presentations to the World Heritage Committee (reporting and side-event) would take place twice during the course of the project. Sankhu is a traditional Newar settlement, and is inscribed on Nepal’s Tentative List. The 2015 earthquake, with a magnitude of 7.8, caused massive destruction to the historic core of Sankhu itself. According to UNESCO’s detailed damage assessment, 65% of traditional dwellings were severely damaged or destroyed, and a total of 85% of households have been affected. Approximately two-thirds of the town's monuments, such as temples (mandirs), priest houses, rest houses (sattals) and votive architecture (chaityas and small shrines) have been seriously damaged. Traditional Newari architecture uses natural building materials and requires regular maintenance. Many of the Sankhu houses have been poorly maintained, compounding the effects of the earthquake. Almost every street was turned to rubble as people dismantled their damaged houses in the wake of the disaster. The once beautiful traditional streetscapes are at high risk of being lost forever. A concerted effort for raising funds for the reconstruction of this historic town is crucial, before it is too late. Time is very much of essence to bring together government agencies, national and international development partners and the community in this common endeavor to save Sankhu. An estimated overall extra-budgetary funding of US$ 600,000 is needed for the implementation of this activity. These funds will cover the rehabilitation process, as well as personnel cost (multidisciplinary experts), capacity building activities, mission expenses, communication, design and printing of the informational material.